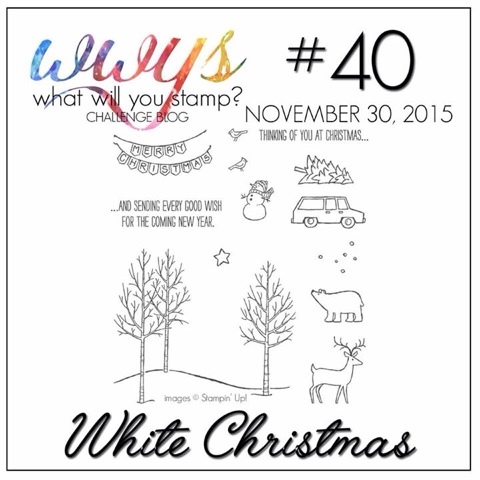 It's What Will You Stamp Monday again and this week we've got a White Christmas challenge for you! This week I decided to go small and make a couple of 3"x3" cards. These are so great when you want to write someone a quick note and a tag is just not quite enough. I always make sure I have a stash of Stampin' Up! 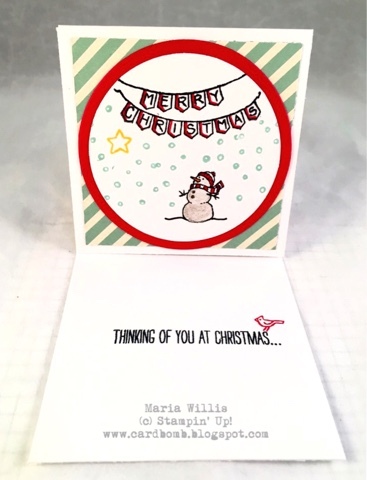 3"x3" envelopes as they make it easy to complete these cute little cards. For this card I used quite a few of the stamps from this set. I love that this set allows you create different scenes by piecing them together the way that you like. 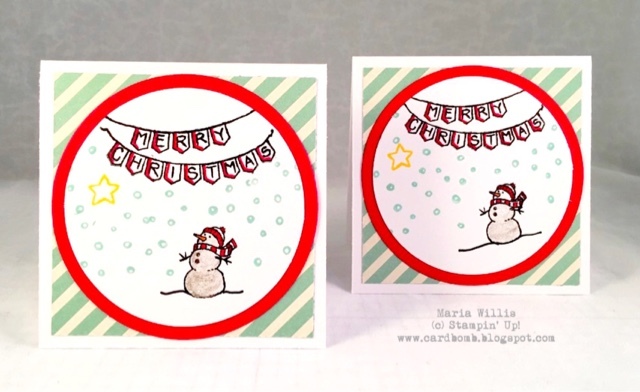 I followed up my stamping by adding a little color with my Real Red Stampin' Write marker and... DRUM ROLL please!! Wink of Stella in clear! Never heard of Wink of Stella? I hadn't either until just recently but check out my amazing little snowman-See all of that beautiful shimmer? 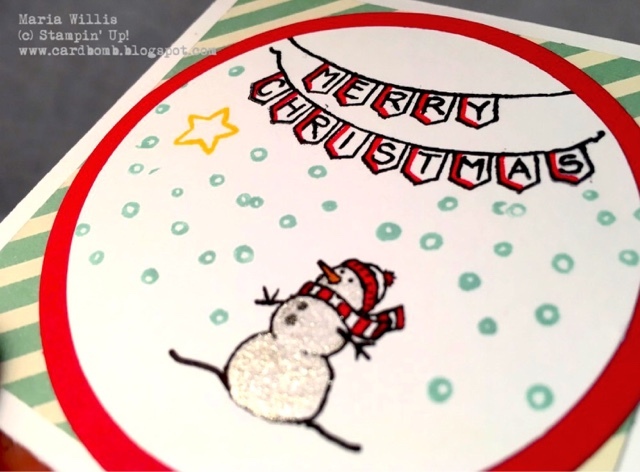 That's the magic of Wink of Stella and it's coming soon in Stampin' Ups! 2016 Occasions Catalog. I've used Clear here and it will also be available in gold! I stamped the inside of card and topped if off with a cute little bird. Here's the whole White Christmas set. So many fun little stamps to use! If you're interested in seeing some more amazing projects using this set be sure to head on over to What Will You Stamp to see what the rest of our design team has made. While you're there I hope you'll decide to join us and enter one of your own amazing projects for a chance to be our guest designer in an upcoming challenge. I can't wait to see what you will make! Until then have an amazing week and I will see you soon! CUTE! Love the card size too. I think it's just darling! Bear Hugs: I Love You This Much! New Stamp Sets! Bear Hugs and Sunburst Sayings! On Stage 3D Card Swap with my new Friends! !